Most people get excited in the weeks leading up to Christmas. Festive treats, decorating parties, the whole nine yards. It may not be that time of year yet, but we are in the weeks leading up to another beloved Holiday in this house- HALLOWEEN! 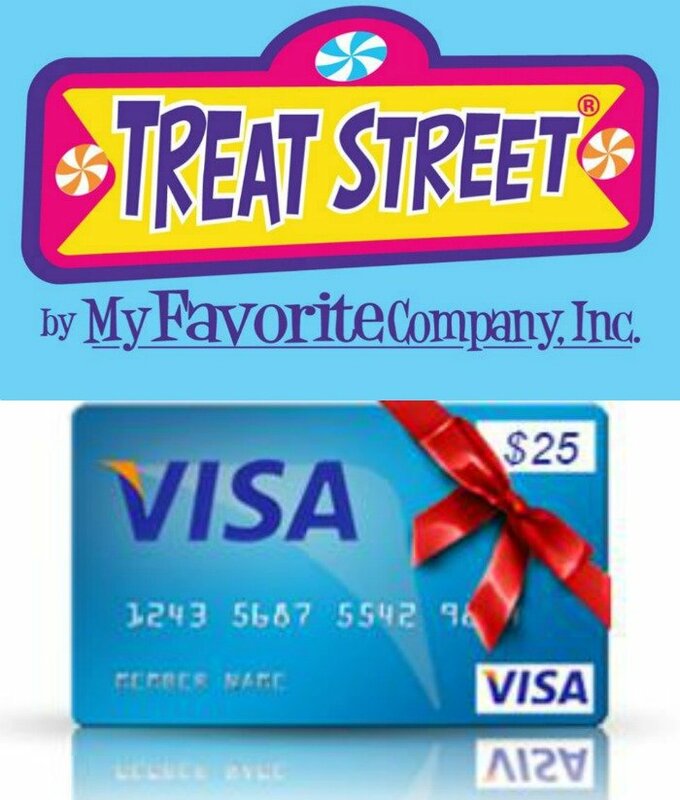 We’re always on the lookout for a reason to celebrate just about any holiday, but for the biggies we tend to go all out. So far, the sons have been loving seeing what been rolling out of our kitchen… especially this sweet, layered Monster Fudge. This is the cute kinda spooky treat I’m all about, although the teens are particular to the gory blood/guts and zombie-ish style. 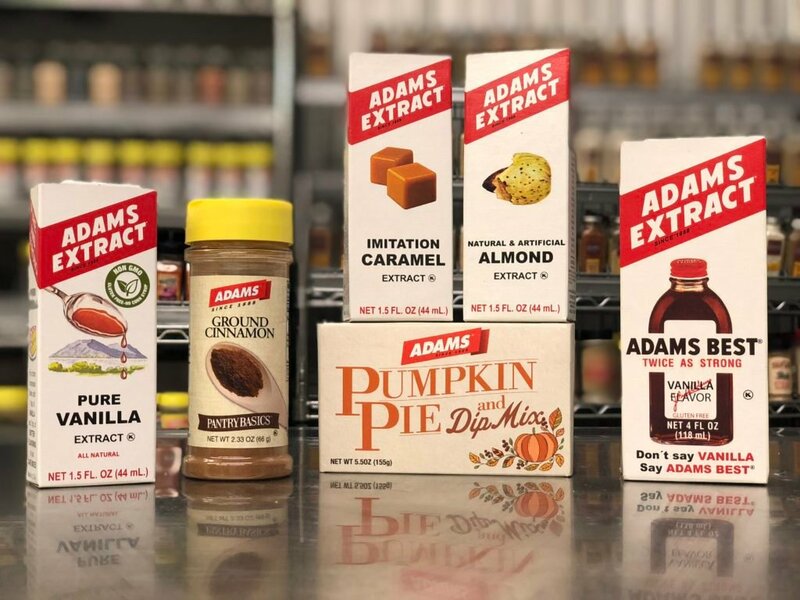 We all agreed, it was delicious, especially combining two different fudge flavors into one sweet bite. 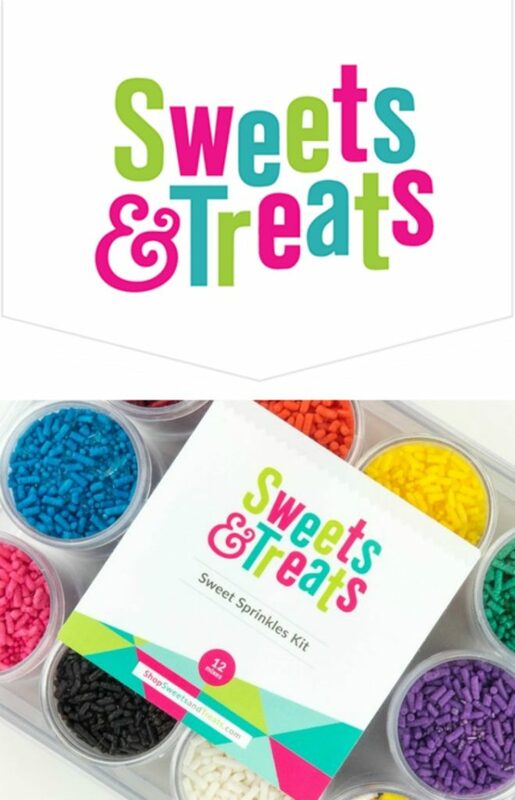 We added a holiday Halloween themed blend of sprinkles from Sweets & Treats Boutique to the mix for a fun ‘pop’ of color, and for a bit of crunchy texture. 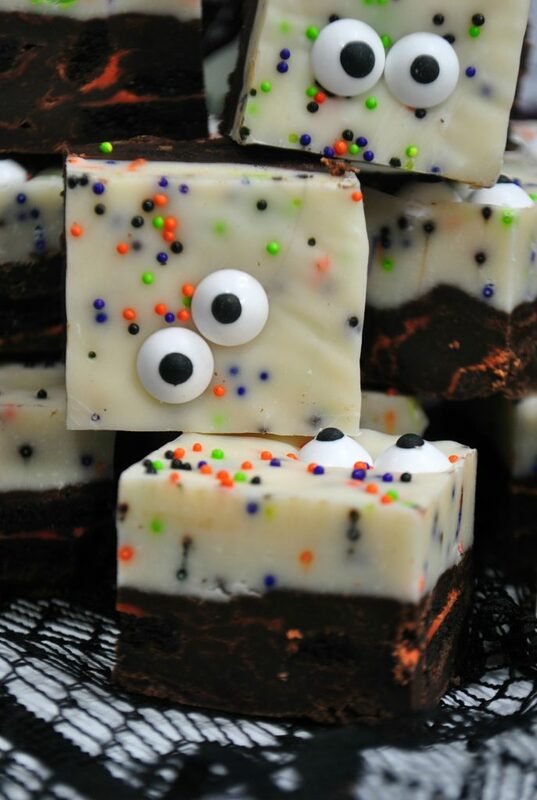 Layers of flavor and layers of textures, this Halloween-themed fudge had a little something for everyone. 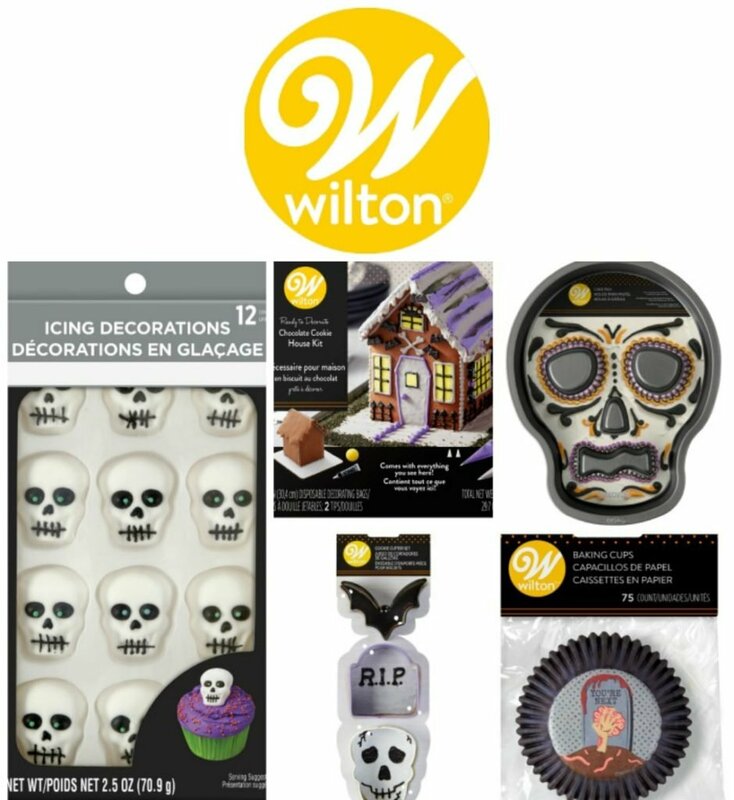 Candied eyeballs from Wilton gave turned it into whimsical little monsters, perfect for your own little monsters to enjoy. While the layers are obviously different, they do start out from the same base recipe. In a sauce pan on the stove, or using a double boiler, melt the chocolate chips, sweetened condensed milk, and butter– stirring until everything’s smooth and evenly incorporated. Stir in some yummy marshmallow cream, until the mixture’s once again smooth. Here’s where our two different layers diverge, other than just in color and type of chocolate. For the bottom layer, stir in 8 Halloween-themed Oreo sandwich cookies that you’ve broken into chunks. This is poured into the bottom of a parchment paper lined 8×8″ baking dish. Instead of oreos, 3 tablespoons of festive sprinkles are stirred into the white chocolate fudge layer. The white chocolate mixture is then poured over the bottom chocolate layer already in the pan. You can use a spatula, if needed, to smooth out the surface. The rest of the sprinkles are sprinkled evenly out over top of the fudge. Wilton’s candy eye balls are set in the fudge, in pairs, about two inches apart. After the fudge has cooled and set for 2-3 hours, it’s cut into 1 1/2″ squares, ready for serving. 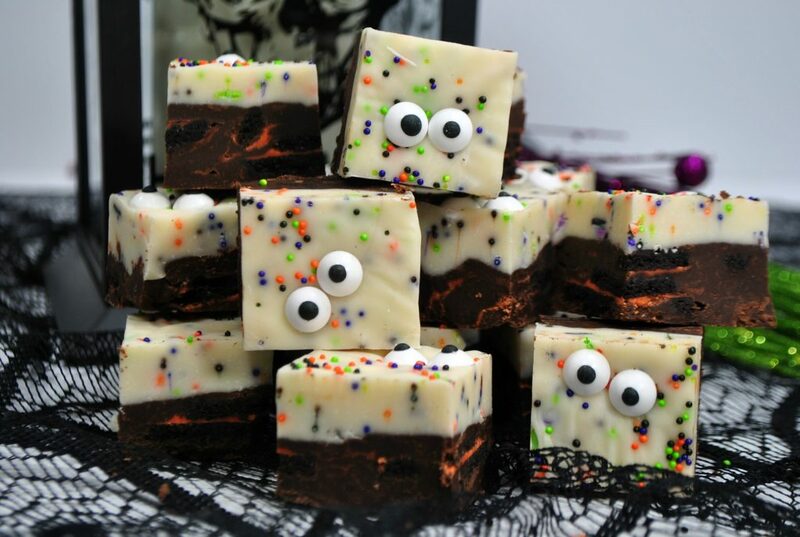 Whether as a sweet treat to get your own little Monsters in the spirit of things, or as a spooky addition to your Halloween dessert table- everyone will get a tickle out of this adorable Monster Fudge. 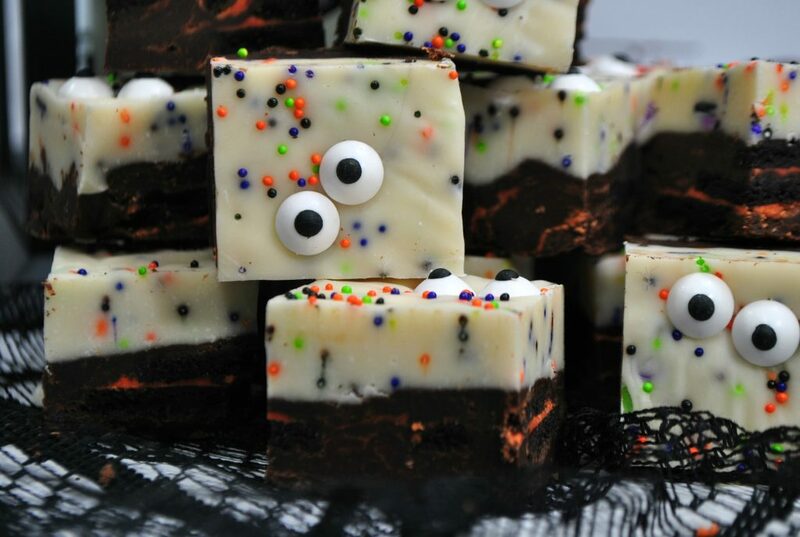 A quick and easy recipe for a layered chocolate & vanilla fudge, with an adorable spooky theme for Halloween. Your fudge looks so yummy & fun! Cutest fudge in the world. I love these so much! 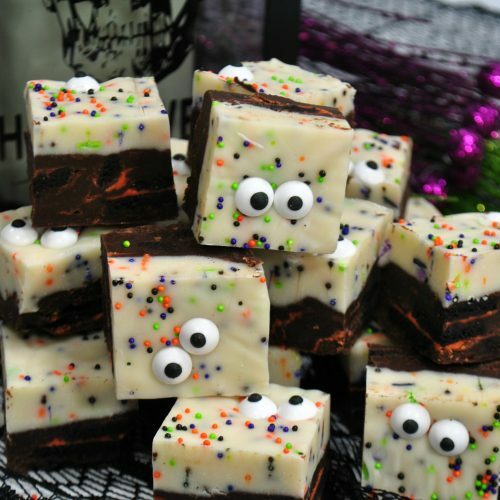 Now, these eyes I have 🙂 I use those eyes on cookies but great idea to turn fudge upright and make them look “ghoulish”. 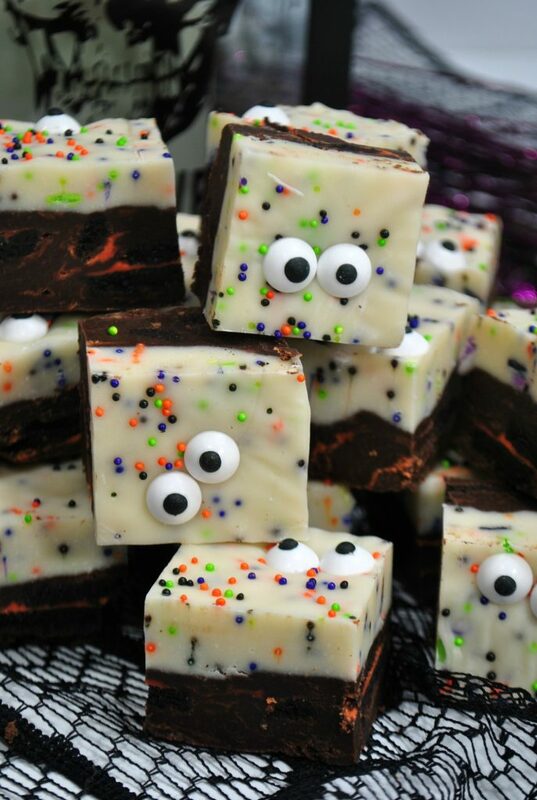 Thanks for sharing some Halloween treat and a good fudge recipe with Fiesta Friday. I’m not a fudge baker. I’m a fudge eater. And I would totally devour this. So super cute. Can you believe I have NEVER made fudge before? You make it sound so easy! These are so cute! !